Lock in a great price for Dormy Inn Premium Namba Natural Hot Spring – rated 8.3 by recent guests! Night Soba noodle is delicious. Familymart is next to the hotel. Onsen bath is great. Great location. Walking distance to Dotombori is very convenient. Great location . Walking distance to Dotonburi , shrine, restaurants and train stations. A block from the hotel is a center with $13 bus service to and from the airport. This is a great convenience. The staff are extremely helpful and kind. The public bath is very clean, well lit and large with multiple options and laundry while you soak! I was sad to leave. There are many convenience stores and a nice refrigerator. The great location close to the busy street in Namba. The breakfast buffet was amazing as well as the evening ramen they served was amazing which we did not expect. And the price for stay was very affordable. Hotel was well situated, and we were pleasantly surprised to learn that there is a shuttle bus to Namba Station. Dormy Inn exceeded our expectations. The location is great. It only a block away from Dotonburi. The breakfast and nightly ramen were delicious. A Family Mart is right next door. The public bath and onsen was very clean and a nice treat after a long day of sightseeing. The room is small, but so we’re all the other hotels in Japan. That’s just to be expected in Japan. We’d definitely recommend this hotel. Great location, close to shopping area and famous local market. Foot distance to subway. You can find a convenience store is right next to the hotel. Offer free noodle after 9pm. You can also enjoy hot spring in the hotel. Staff is friendly. The room was clean, albeit a bit small, and in a very convenient location. The staff were polite and helpful, and the hot spring was a big plus (though warning, at certain hours it can get crowded). the staff were very friendly and helpful. The onsen was great. The free noodles of an evening were a nice bonus. Dormy Inn Premium Namba Natural Hot Spring This rating is a reflection of how the property compares to the industry standard when it comes to price, facilities and services available. It's based on a self-evaluation by the property. Use this rating to help choose your stay! Located a 5-minute walk away from Nihonbashi Train Station, Dormy Inn Premium Namba Natural Hot Spring offers modern accommodations with Wi-Fi. Relaxing massages are available for an extra cost and guests can refresh in the public hot-spring baths. The air-conditioned rooms feature a flat-screen satellite TV, a fridge and an electric kettle with green tea bags. The private bathroom comes with a hairdryer and free toiletries. 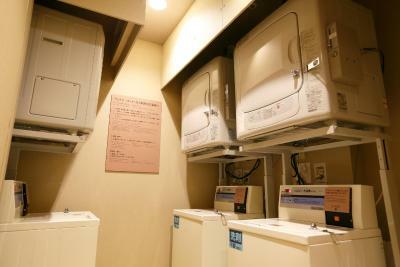 Sauna rooms are located by the hot-spring baths and guests can use the coin-launderette on-site. Dry cleaning and photocopying services are available at the front desk. Luggage storage is offered as well. A Western breakfast buffet is served at the restaurant. 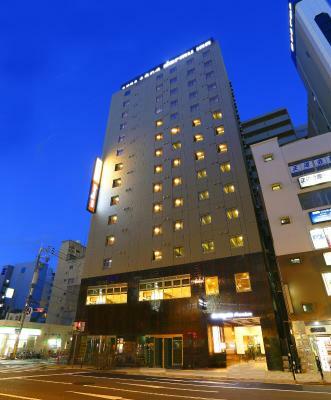 Namba Dormy Inn Premium Natural Hot Spring is a 5-minute walk away from Dotonbori and from Denden Town. The Shinsaibashi shopping area is within a 15-minute walk from the property. 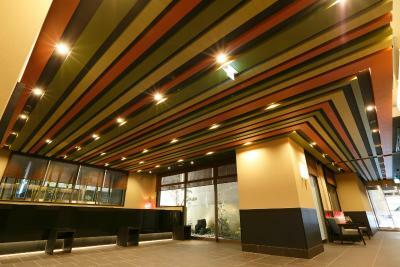 When would you like to stay at Dormy Inn Premium Namba Natural Hot Spring? Private parking is available at a location nearby (reservation is not needed) and costs JPY 2500 per day. Guests can check-in from 13:00. This single room has a washing machine. This triple room features air conditioning, electric kettle and flat-screen TV. This double room has a soundproofing, electric kettle and bathrobe. This single room has a washing machine, air conditioning and soundproofing. House Rules Dormy Inn Premium Namba Natural Hot Spring takes special requests – add in the next step! Dormy Inn Premium Namba Natural Hot Spring accepts these cards and reserves the right to temporarily hold an amount prior to arrival.